Last week while on duty, I was dispatched to a call in reference to some illegal dumping. I met up with the complainant, Lester Elkins. As I was driving up to Mr. Elkins’ house, I noticed that he had some type of business on property that resembled a chicken farm, only everything was smaller. Mr. Elkins and I met up and he drove me over to the place where the illegal dumping occurred. As we were talking I asked him what kind of business he was in and he told me that he was a cricket farmer. Mr. Elkins said that as a young boy, he and his brothers loved to go fishing but that they were very poor and had to hunt their own bait. He said that he found that the crappy loved crickets and after catching several his mother allowed him to use an end piece of bread to feed them so they would stay alive. He said that he could only use the end piece of the bread loaf though because they were so poor. Elkins said that a few days later he noticed baby crickets in the shoebox. Finding the baby crickets in the shoebox started a 53 year business in cricket farming. Mr. Elkins told me that the first 20 years of business were the hardest but that he finally got his business down to a science and the last 33 years have been much better. I did a Google search for him and found very few results except some address information. I think his hard work and determination are worth writing about and sharing with others. Here’s a link to a story on the CO-OP website about Lester. Yesterday we lost a friend and fellow officer of the law. 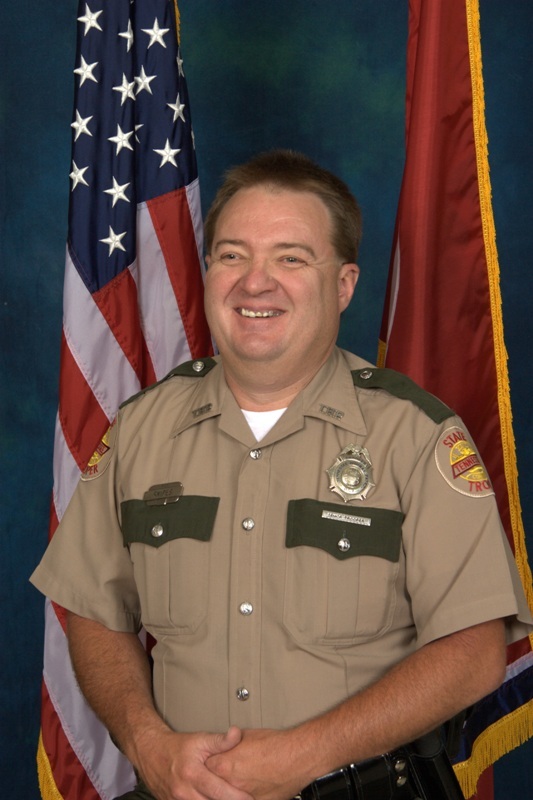 Tennessee Highway Patrol Trooper Joe Snipes was killed in an off-duty motorcycle accident in Bradley County Tennessee. Even though we didn’t hang out while off-duty, I considered Joe a friend. I had several occasions to work with Joe on vehicle wrecks where I either assisted him or he was assisting me. He always offered whatever help or advice he could and he was always very appreciative of the help he was given. Even when frustrated he always treated me with respect. The one thing that I will remember about Joe is that he rarely complained. I remember pulling up to a crash on I-75 on one particular occasion. A storm was coming in and it was bringing heavy rain with it. As the rain began to pour down Joe just looked at me and said, oh well, this is what the State pays me to do. He took his job serious and was always there to ensure the safety of the motoring public through enforcement. I heard a talk-radio journalist read the headline about the accident this morning. It went something like this, Just because your a law enforcement officer doesn’t mean accidents don’t happen to you. That isn’t a direct quote but it was something to that affect. I took offense to it. No one ever said we were perfect. We, as law enforcement officers, are human just like everyone else. We make mistakes and, at times, our lives are cut short just like everyone else. We just try to do our part to make this place a better and safer place to live. As we head in to this Labor Day weekend and as we soon begin to reflect upon the emergency workers that were lost ten years ago on September 11th, 2001, lets remember that our law enforcement officers are just trying to do their part. Thank an officer, medical person or firefighter when you see them and remember Trooper Snipes and his family. Keep them in your prayers, especially his wife Sheila who was taken to the hospital due to the injuries she sustained as the passenger of the motorcycle they were riding.